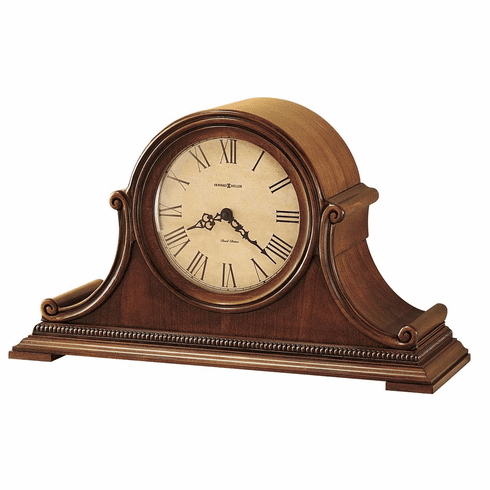 This mantel clock is highlighted with bookmatched wood molding that frames the dial and offers scrolls on the sides. The aged dial offers Roman numerals. A beaded molding accents the front and sides. Finished in Windsor Casual on select hardwoods and veneers. Automatic nighttime chime shut-off option. Quartz, dual chime movement plays Westminster or Ave Maria chimes, and features volume control and automatic nighttime chime shut-off option. Made in the USA.